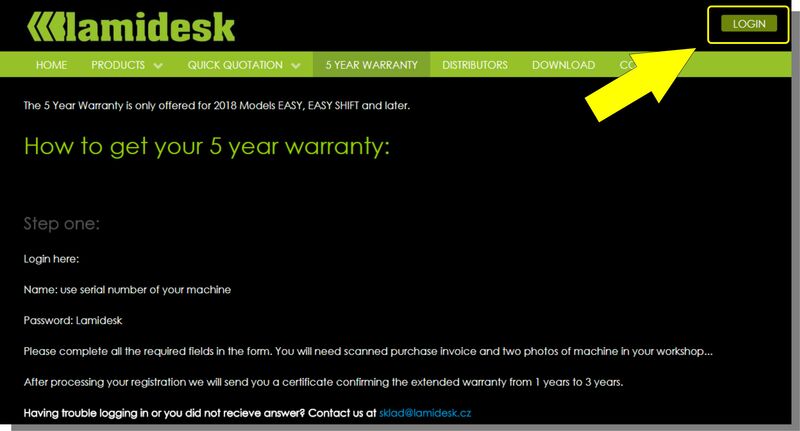 The 5 Year Warranty is only offered for 2018 Models EASY, EASY SHIFT and later. After processing your registration we will send you a certificate confirming the extended warranty from 1 years to 3 years. To qualify for the extended warranty please send us two photo series of interesting application work created using our product. As well as photos please send a brief written article explaining the scope of the job, how your Lamidesk made the job easier and some of your experiences. We would like to use these guides on our website to assist new and existing users to get the best from their machines. In appreciation of your efforts we will extend your warranty from 3 years to 5 years. Warranty covers materials and manufacturing defects, but does not cover normal wear and tear. These warranties cover the repair or replacement necessary to correct defects in the materials or workmanship of any parts. Warranty excludes glass sheet, rubber rollers and cutting mat. 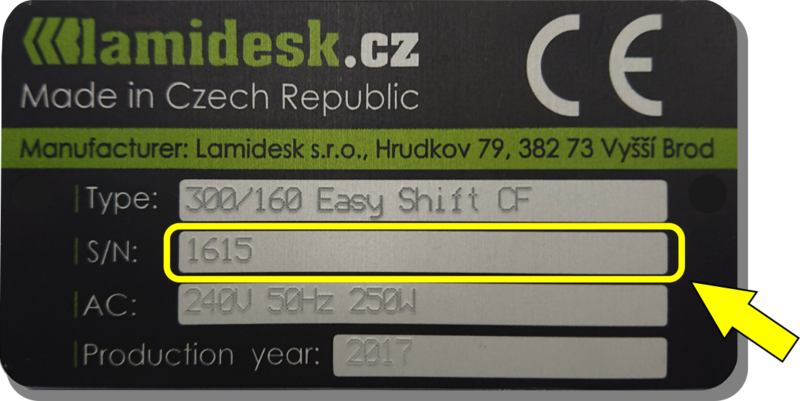 Warranty is valid for parts EXW Lamidesk, Vyšší Brod, CZ. Labour for fitting parts and shipping cost is not included, but your local dealer can assist. © 2016 - 2019 Lamidesk s.r.o.